Human rights activist Beatrice Karore was five months pregnant when she was shot twice in the hips with rubber bullets and beaten by police Oct. 14, 2012, after a protest against lawlessness in Mathare, a shantytown in Nairobi, Kenya. Two hours earlier, Karore stood on a dirt road that transects the slum, staring at the bodies of two young men who’d been knocked off their motorcycle and clubbed to death. A crowd was gathering—angry, vocal, demanding that police take action. 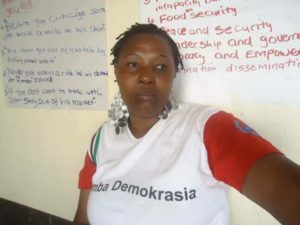 Karore, who was known as a social justice organizer and had made something of a name for herself by running for (but losing) a seat on the Nairobi County Assembly the preceding December, led the procession to the Humura Police Station in Nairobi. Human rights activist Beatrice Karore, Nairobi, Kenya. Karore and other demonstrators were chased, captured, beaten, arrested and imprisoned. She lost the child in a miscarriage shortly thereafter, and descended into depression, nightmares, sleeplessness, and constant fear for her and her family’s safety. Only the details make Karore’s story unique. The main themes—frustration, fear, physical and mental wounds—are common in dozens of nations where human rights work might be classified as an occupational hazard. Because no agency has addressed those hazards in the context of nonviolent civil resisters’ health, I founded Frontline Wellness United earlier this year with a group of healthcare providers and activists who’d volunteered in the chaotic Dakota Access Pipeline Resistance camps in North Dakota in the United States this past winter. Protesters there were pepper-sprayed, beaten, and shot with rubber bullets by police, but the camps themselves―which at their peak may have numbered as many as 9,000 ‘residents’—also suffered from internal strife, including racial hatred, physical assault, sexual assault and other forms of conflict, along with the fear and anxiety that accompany living in violent, unpredictable circumstances. 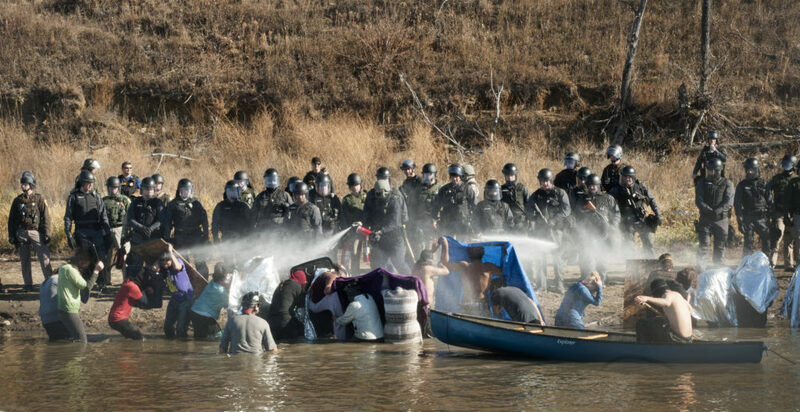 Morton County Sheriff's deputies douse Dakota Access Pipeline protesters with pepper spray. Nov. 2, 2016, North Dakota, USA. Credit: Author. We can also, as Karore did, turn pain into a story. Encouraging people to talk about suffering isn’t some kind of verbalized placebo; it’s the fundamental recommendation of the World Health Organization’s 2017 World Health Day campaign to address depression around the globe. Talking openly about pain is “a vital component of recovery,” argues the agency. B. Karore, personal communication, November 9-11, 2017. R. Chancer, personal communication, December 11, 2017. Chancer, R. How to stay sane if Trump is driving you insane: Advice from a therapist. Politics Means Politics blog, April 26, 2017. Retrieved from https://blog.politicsmeanspolitics.com/how-to-stay-sane-if-trump-is-driving-you-insane-advice-from-a-therapist-42e982195e22. Evans-Lacko, S. and Knapp, M. (2016). Cost of depression in the workplace across eight diverse countries – collectively US $250 billion. LSE Health and Social Care. Retrieved from http://blogs.lse.ac.uk/healthandsocialcare/2016/11/15/cost-of-depression-in-the-workplace-across-eight-diverse-countries-collectively-us250-billion/. World Health Organization. WHO global health days. December 11, 2017. Retrieved from http://www.who.int/campaigns/world-health-day/2017/campaign-essentials/en/. Featured image: Two protesters the author treated for hypothermia after they swam across the Cannonball River, near Cannonball, North Dakota, USA, to confront Morton County Sheriff’s Department deputies during the Standing Rock protests. November 2, 2016. 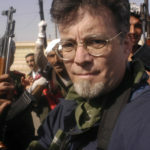 Joel Preston Smith is director of field operations and communications for Frontline Wellness United, a nonprofit medical aid society that provides medical care, wellness services and training for social justice activists and nonviolent civil resistance movements. He served in the pipeline resistance camps as evacuation manager and emergency shelter director for the Cannonball District of the Standing Rock Sioux Reservation.